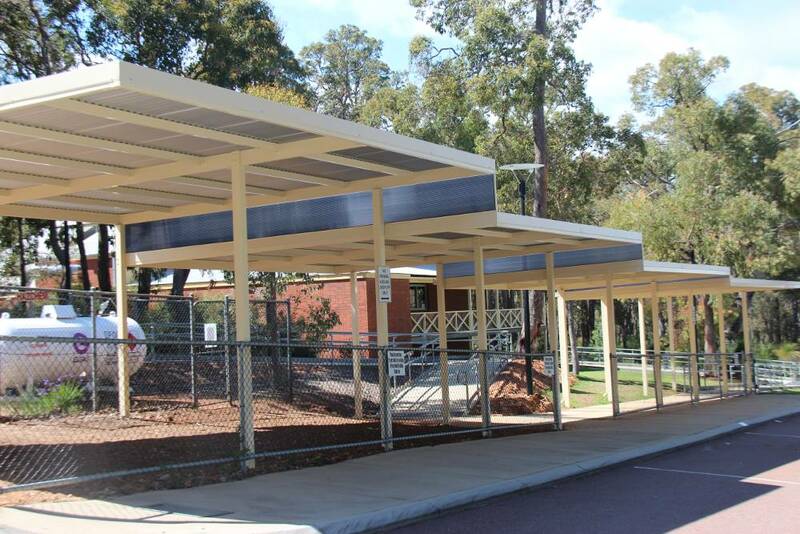 Perth Better Homes was instructed by Programmed FM to supply & install a shade structure at the school. 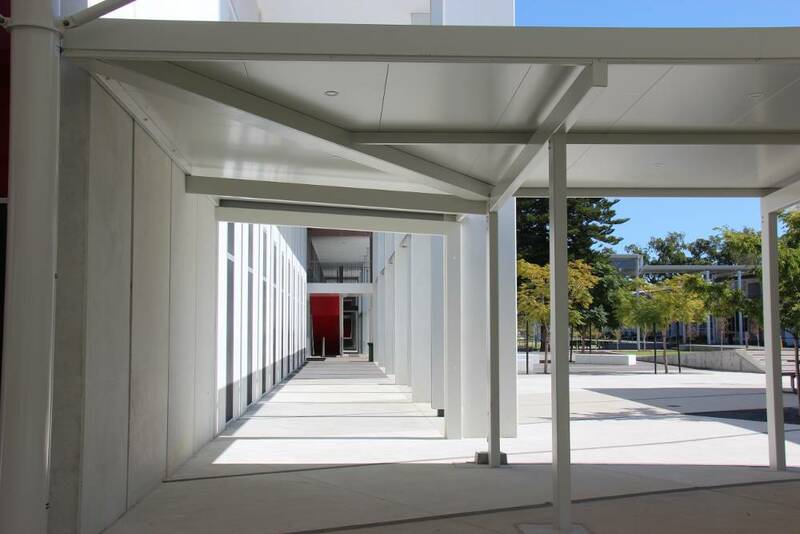 We installed a hot dip galvanized structure to match the existing steelwork used on site for the walkways. The project was completed within the timeframe specified & no damage was caused to school property during the course of the project. We arranged for the drafting & certified engineering to be obtained before commencement of the proposed works. Due to the height of the structure, we ensured that all employees with required experience & proper qualifications were allowed on site to perform the task. Harnesses & hard hats were provided to employees for all works conducted at heights on site. We also ensured that the work site was properly fenced off during the duration of the project. The site was left in a clean & tidy condition upon completion of the project. 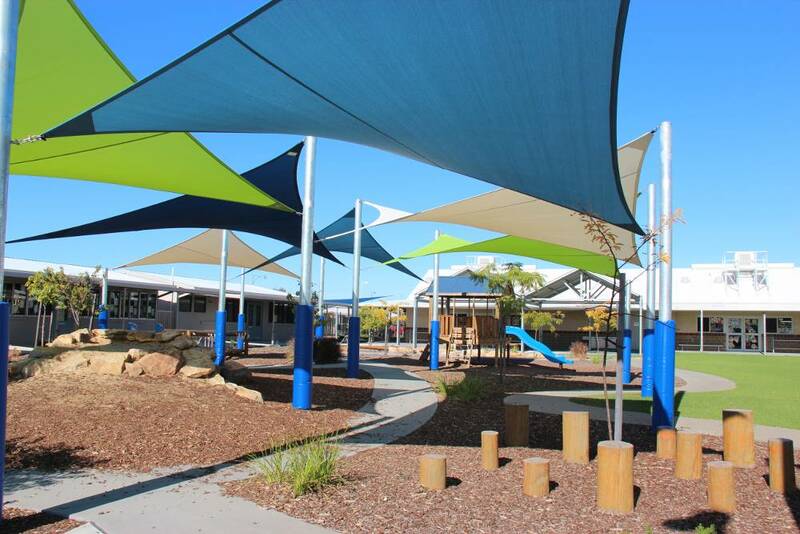 Perth Better Homes was awarded the contract by Programmed Facility Management late in December 2017 to design & construct covered walkways & shade sails at the school. The school requested that the project be completed by 25 th January 2018 before the students returned to school after the holidays. As the school catered for out of school care during the holidays, we erected temporary fencing around the building site to ensure the safety of all children. We commenced with works on site after finalizing all ground scan testing to determine location of any underground services. Our installers were required to plant 100 hot dipped galvanized posts & installed 41 x shade sails with perimeter cable on site. 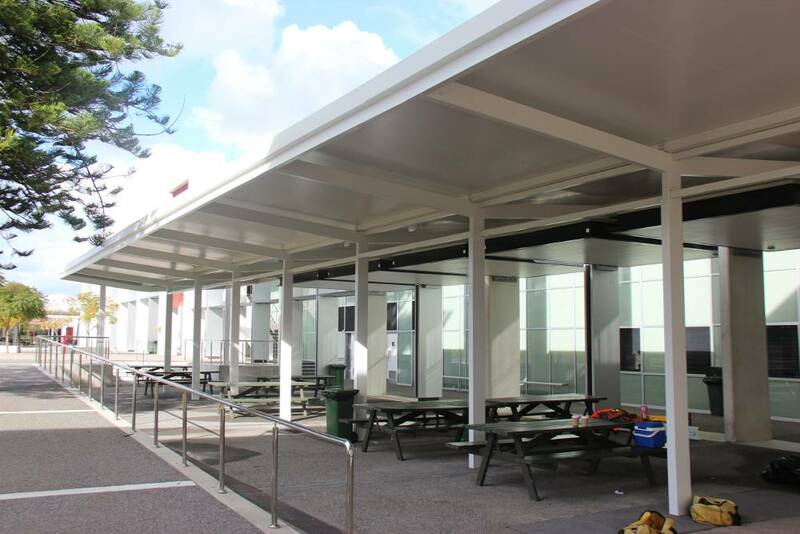 We also installed 2 x Covered Walkways & a Gable Roof Structure with gutters & downpipes. We obtained the Building Permit & engineer certification prior to starting with the proposed works on site. We arranged for engineer to inspect all excavations for structure footings to ensure that excavations complied with certified design drawings. complete this challenging project within the required time frame. We highlighted critical tasks & risks at start of project to ensure that the school’s objectives & requirements were captured & transported into a stunning quality end result! 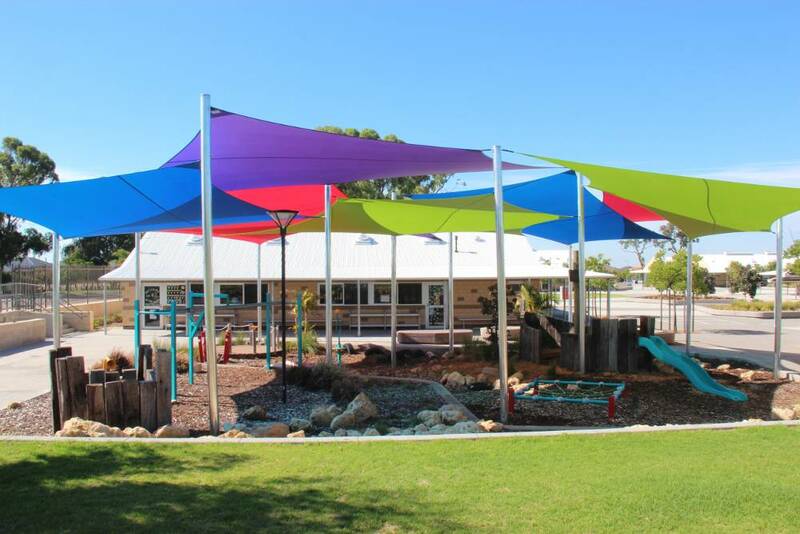 Perth Better Homes installed several shade sails to two playgrounds at Tuart Rise under the direction of Programmed Facility Management. As this was a high traffic area used by primary students, we ensured the area was securely fenced off during the construction stage of the project. Traffic management was an important task during this project & delivery of all materials were arranged outside of school hours. 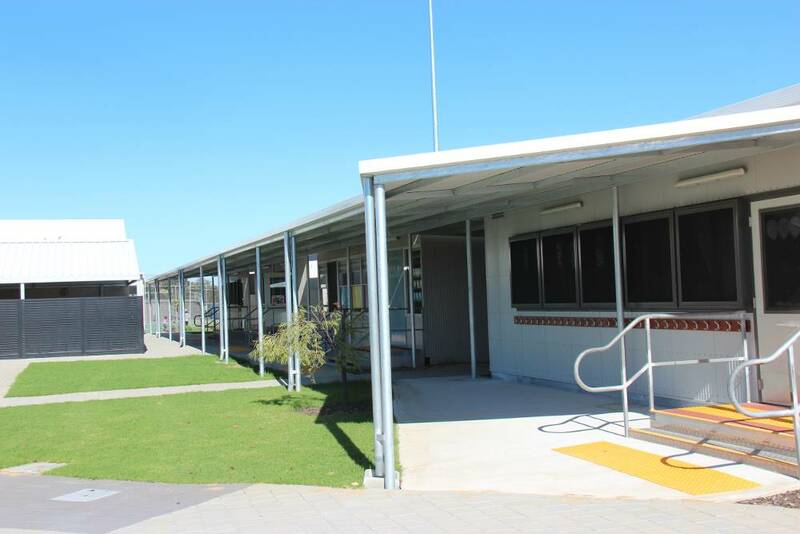 We successfully completed these projects without compromise or disruption to students. 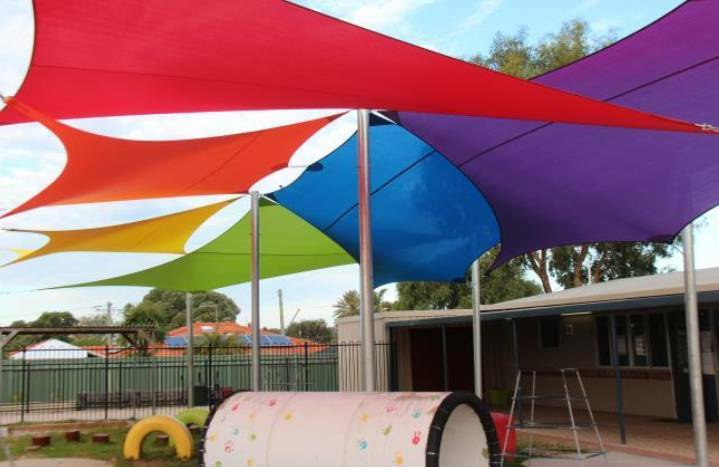 Perth Better Homes was instructed to supply and install shade sails over the playground area at the school. The project was completed during the winter school holidays, in order to minimize any disruption to school activities and to ensure the safety of the students. 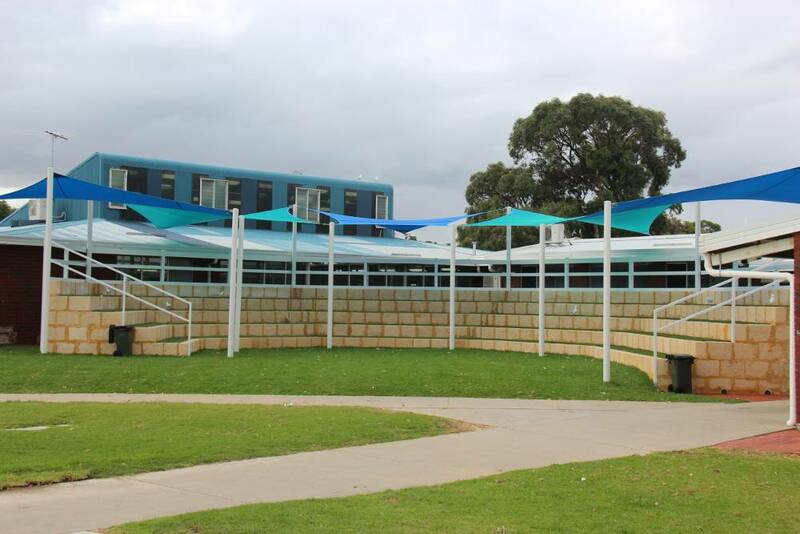 The school requested the shade sails to be in the faction colours of the school. We have completed a number of projects for the school. 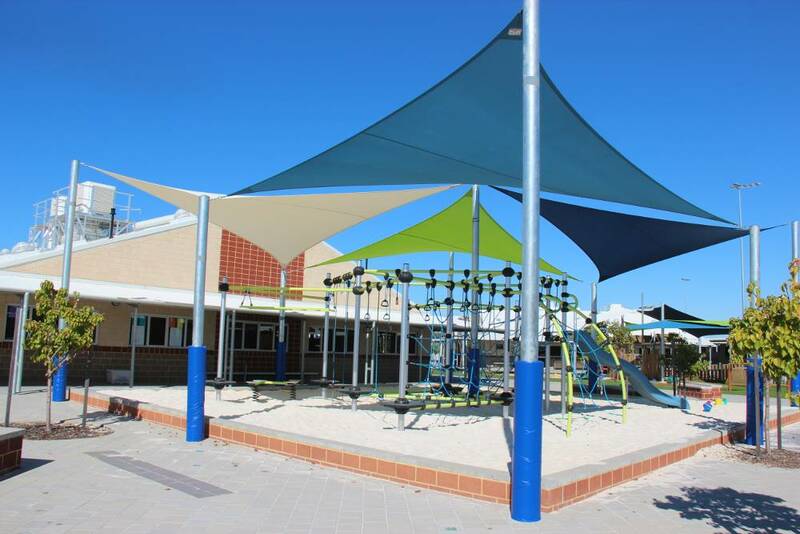 Perth Better Homes was awarded the contract by Programmed Facility Management to supply and install a custom built amphitheatre for outside assemblies with adequate shade coverage for its students . We were actively involved in the design & construction process of this project. Our experienced team at Perth Better Homes & attention to detail enabled us to deliver this vibrant & dynamic design. 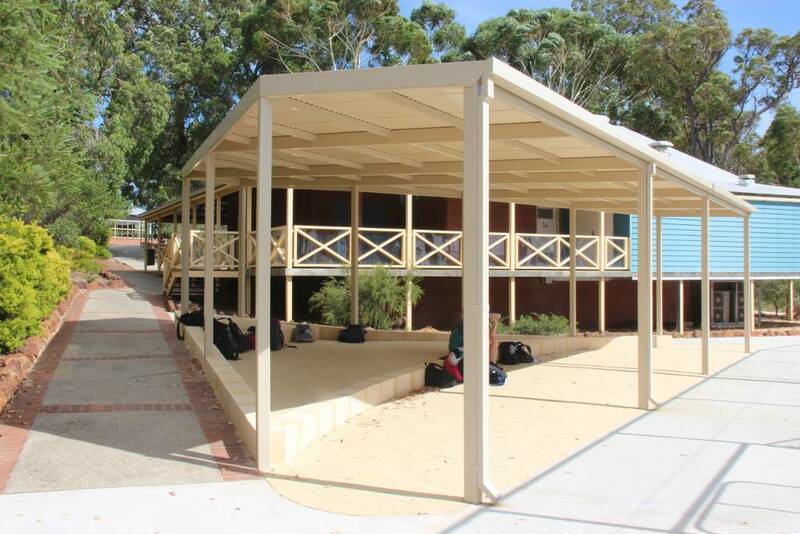 Perth Better Homes was awarded the contract to design & construct walkways & a membrane shade structure at the school. The project was subject to aggressive timeframes for the commencement & completion of the project. We are very experienced at programming & completing large projects under challenging project completion timelines. The magnitude of this project required stringent & precise management as well as co-ordination of all fabrication components & the on-site installation scope of works to successfully complete the project on time. We highlighted critical tasks & risks early on to ensure that the school’s objectives & requirements were captured & transported into the quality end result. Perth Better Homes & their skilled & experienced team delivered a stunning project & pride themselves on successfully completing both projects within the specified timeframes. It was both a privilege & honour to work in association with Programmed FM on this project! 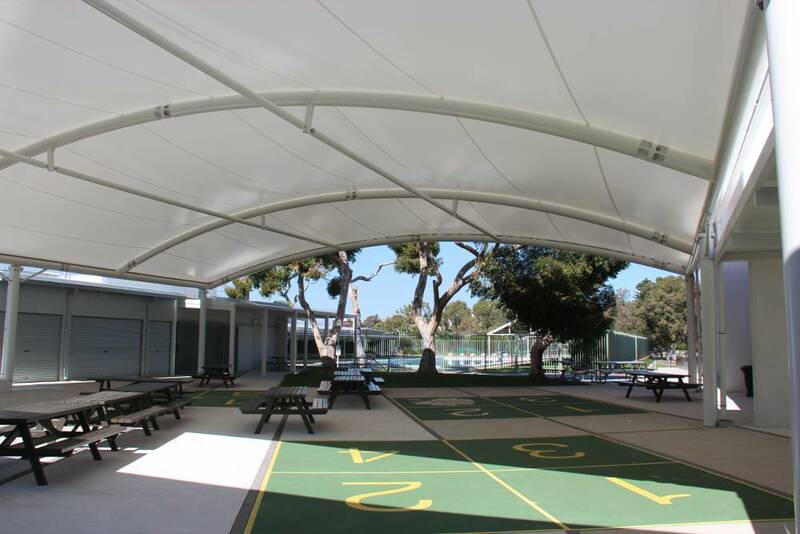 Perth Better Homes was instructed by Programmed FM to design, supply & install a shade structure with seating & retaining limestone walls near the tennis courts. We also attended to the brick paving works around the structure. A safety rail was added as well as a 600mm soak well. We also installed a bus shelter for the College. Ground scanning was carried out prior to commencement of all works on site. Drafting & certified engineering was obtained for proposed works. Both work sites were properly fenced off during duration of projects. Perth Better Homes have had the pleasure completing a few projects at the College. We completed all the projects on time & are extremely proud of the results achieved. 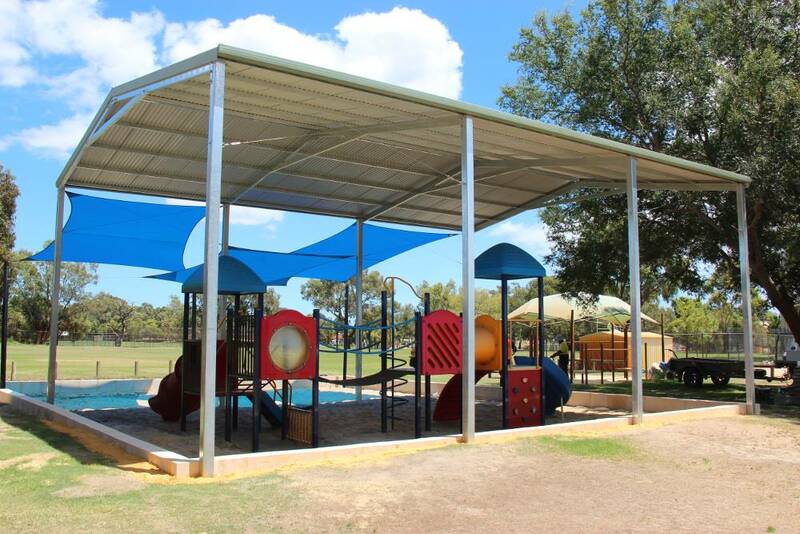 Perth Better Homes was instructed to supply & install a gabled shade structure 11.5m x 8.8m x 4.8m high over existing D Block playground. 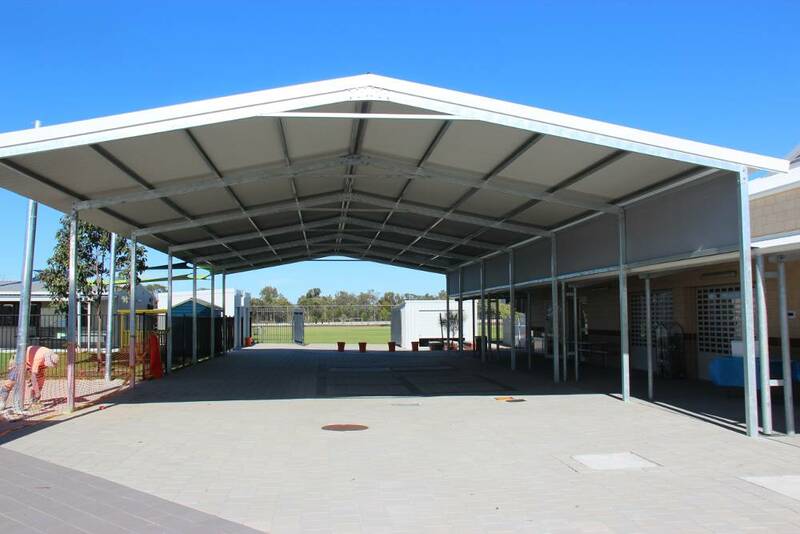 The legs were upgraded to 125 x 125 x 4 to enable the shade sails to be suspended from one side of the structure. Gutters & downpipes were added to the structure & soakwells were installed. 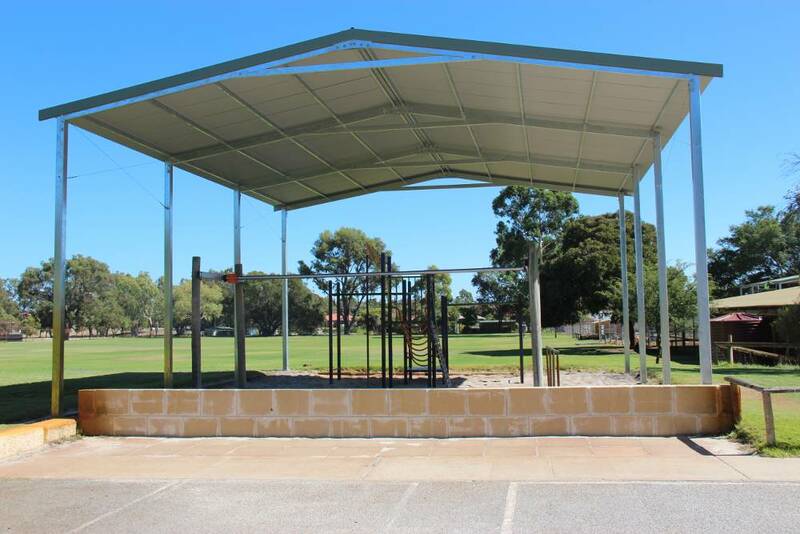 We also installed a Gabled shade structure 11.5m x 9.8m x 4m high over the existing C Block playground on the school premises. 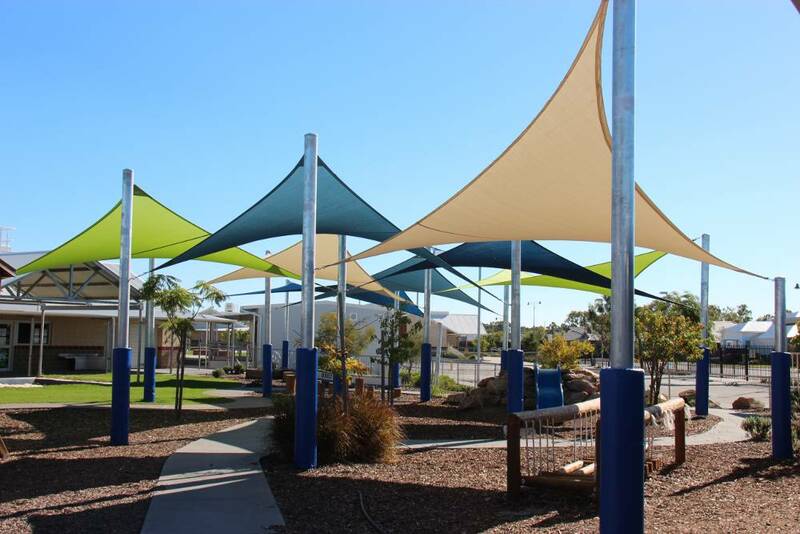 We assisted with the relocation of shade sails & installed the sails next to the new shade structure in D Block playground area. Perth Better Homes ensured that drafting & certified engineering were obtained prior to commencement of any works on site.